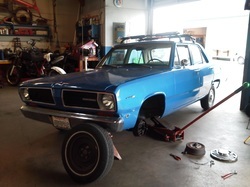 Customer brought their 1968 Plymouth Valiant in to have brakes upgraded. As disk brake conversions require changing out more than just the front brakes, we looked for alternatives for them. 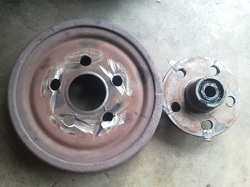 Removed wheels, and found previous work had been done, and hubs were welded to brake drums. No choice now, brakes needed to be replaced or upgraded. Customer chose upgrade. The issue with most brake upgrades is wheel fitment. 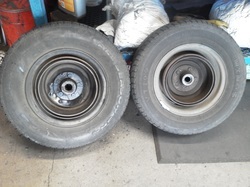 Many aftermarket kits require upgrading to larger wheels. However, we know from past experience that 10" drums from later model Mopar A-body fit the 13 inch wheels that came on the Valiant. 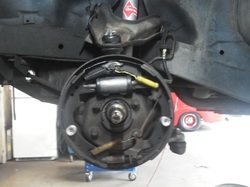 10" backing plate and brakes installed. 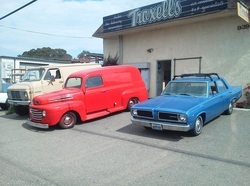 Road test done, stops much better and waiting for customer pickup.